The 23rd edition of Alcheringa, the annual cultural festival of IIT Guwahati will be held from January 31 to February 3. 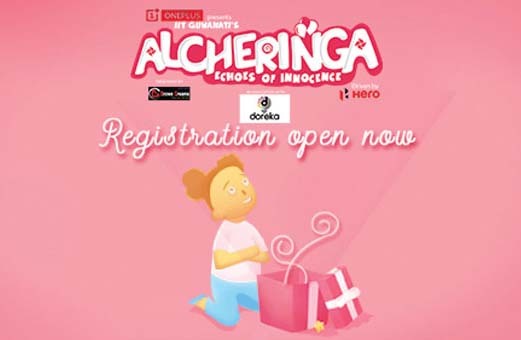 The theme of Alcheringa 2019 is ‘The Ethereal Conquest’ and aims to represent the triumph of dreams and hopes over the fear of failure. In order to present thrilling events and performances to the audience, famous artists have been roped to perform for four nights during the festival. Grammy award winner Vishwa Mohan Bhatt, the Hindustani classical music instrumentalist best known for playing the Mohan Veena , will be performing on the inauguration night of January 31. Well-known Canadian metal band ‘The Order of Chaos’ will be the star performer on February 1 for the event ‘Juggernaut: The Metal Night’. The third night of cultural extravaganza ‘Crescendo’ that will be held on February 2 will feature performances of Bollywood duo Sachin-Jigar and singer Ash King. The final cultural night on February 3 will feature performances of Spanish house and electro house DJ and producer Danny Avila and Mexico’s DJ and producer Mariana Bo. There are various forms of literary, music, dance, art, sports competitions lined up for Alcheringa. Different kinds of technical workshops will also be held during the cultural festival. There will also be an exhibition of handlooms and handicrafts of various states during the festival.